Print this stress reliever smile guy that has bendy arms and legs with your logo! 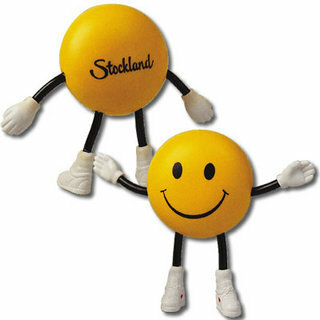 This anti stress toy as a black smiley face pre-printed, bendable black arms and legs with white gloves and shoes. Great for educational campaigns, employee incentives, VIP events, charities and organisations or recruitment campaigns.